Exploring buddhist temples to lush jungles, tea plantations to reef breaks—our two-week trip around the South West quarter of Sri Lanka (recounted here) made us consider its history, and the effects tourism will have on is future. Years ago, Sri Lanka had been described to me as an 'off the beaten path' destination, but sadly that is no longer the case. An increasing flow of tourists in recent years, of which we've now taken part, has changed the face of villages and towns that span the well-traversed loop running from Colombo, along the main rail line to Kandy, Ella, and the hill country villages between, then back to Colombo via the coast (or vice versa). For us, a two-week time limit meant adhering to this tourist trail. We found that travelling this route has become convenient. Passing through, we noticed how many livelihoods have changed in order to cater to the influx of visitors in these places, and that the majority of sprouting infrastructure is built with tourists in mind. One example is Hiriketiya, a small beach cove east of Dickwella where all of the tourist infrastructure there—the guesthouses, western restaurants, board rentals that dominate the small area—did not exist three years ago. Even so, we found that Sri Lanka has a little bit of everything to offer—history and an evolving culture, cities and nature, hiking and surfing. Not to mention curry rice and roti! (those who have been will get the joke.) Sri Lanka is a place of warm people, consistent surf, and damn good tea, and definitely worth a visit, though the 'off the beaten path' experience will require some effort and planning. 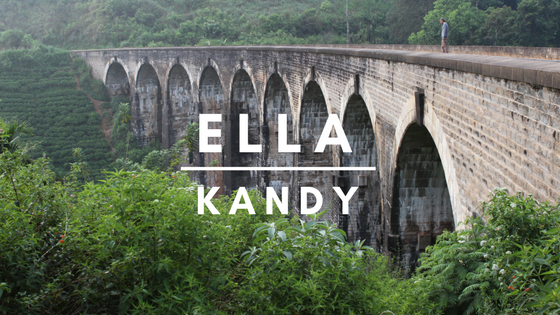 Allocate your time to Ella over Kandy for its overall vibe. Kandy is the first of the well traversed mountain towns traveling east from Colombo, making it a natural place to stop. We spent a day longer there than intended due to the train schedule, which dictates travel plans more than one might like. Unless you're interested in Kandy's main attractions (The Temple of the Tooth, the Royal Botanical Gardens, the Udawattakele Forest Reserve), using it at a stepping stone to the Knuckles range, you needn't spend too much time. By contrast, Ella is a quaint highland village with far less traffic and congestion. it has but one central road where travellers congregate, but with guesthouses spread throughout the surrounding hills, it is quiet as peaceful as soon as you wander off the main strip. We found a wider array of shops and restaurants in Ella (The Matey Hut is a must—though 'spicy' is spicy enough!) as well as easier access to more rewarding nature (Ella Rock was a short but enjoyable hike—avoid leeches by following the train tracks and avoiding fields.) An early morning walk from Ella to the Nine Arches Bridge also made for some beautiful scenery, monkey watching, and train spotting . Horton Plains is home to a stunning landscape, as well as an interesting variety of endemic and invasive plant species. It is an isolated patch of montane cloud forest, where foggy conditions at the vegetation level persist through most afternoons. Horton Plains offers a unique and majestic landscape to visitors of all ages and levels of outdoor experience/fitness (difficulty level: doable in sandals). The only drawback is that this leaves the single trail crowded with tourists. If proceeding with the loop, be sure to start early (or be stuck in the caravan of hired vans) and take the alternate route that summits across from World's End, which offers the best (and least crowded) view of the sheer escarpment. We arrived at this viewpoint via Little World's end, by following a clear narrow pathway upwards past a DANGER sign instead of the one curving away from the edge of Little World's End (be careful as it's a sheer drop to your left, albeit buffered by trees and vegetation). If the loop leaves you wanting a more intimate experience with the park, as it did for us, consider hiking to the summit of THOTUPOLA (Sri Lanka's third highest peak at 2,357 m). While we were not able to do it ourselves, it came strongly recommended from our van driver, an outdoor enthusiast himself, who stopped to show us the trailhead on our way out of the park. Another option is KIRIGALPOTHTHA (Sri Lanka's second highest peak at 2,389 m). Permits for all hikes in Horton Plains are required, and guides are recommended for wayfinding as these trails are not well-marked. 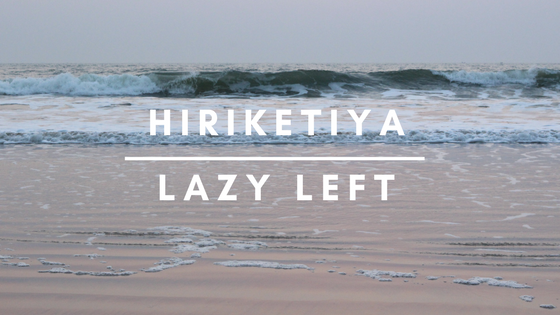 Rusty or fairly fresh surfers like us should check out Hiriketiya over Midigama's surf breaks such as Lazy Left because of its overall setup. With three breaks in one cove (beginner and intermediate beach breaks plus a reef break for the gnarly surfers) it generally spreads out the crowd by ability and leaves room for progression. It gets busy right before sunset but so does every break. Board rentals are conveniently available right on the beach for 250 rupees per hour (50 cheaper than we found elsewhere!). Hiriketiya also has a better variety of food within striking distance from the beach. For local eats, check out Rozie's home cooked buffet dinner (500 rupees). Great western options include The Grove and Salt House. The cheapest bites were at the beachside Roti Hut, manned by charming owners who will teach you how to make egg hoppers and add words to your Singhala vocabulary. By contrast, Lazy Left attracted a crowd of 30+ surfers vying to catch the same wave (sets were few and far between); you need to charge pretty hard to score rides there. Both beaches were fairly similar stretches of sand lined with beach bars and day beds so nothing against Mirissa, we simply stumbled upon more gems in Unawatuna. Named for the large clay earthenware pots from which the all-you-can-eat buffet is served, Mati Gedara offers a reasonably priced meals in a charming treehouse. A little haunt that simply comes up as Traditional Sri Lankan Cooking on Google Maps offers a tasy vegetable curry rice platter. Even our accommodations Villa Unawatuna was a great deal: cool and clean rooms, balcony, rain shower, and equidistant to beach and bus stands. We got along well with the owner, a dive master who abandoned the family scuba instruction business when his father (and business partner) and brother were lost in the 2004 tsunami. PS. Unawatuna's surfing was also better than Mirissa.